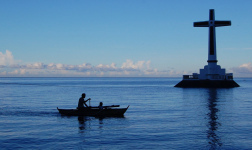 Camiguin is definitely one of my favorite destinations in the Philippines, as it boasts of several noteworthy attractions. The province that is known to have some of the most active volcanoes, used to be a very long travel from Manila (can be reached by means of all three transport links: plane, car and boat). But ever since a local airline started offering direct flights to the region, it brought out a new high for those seeking to explore the Island Born of Fire. 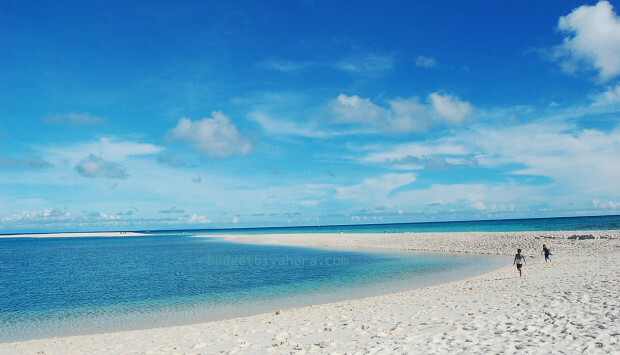 It’s a tropical paradise that you shouldn’t miss while visiting Mindanao, especially Camiguin’s waterscapes. I had the opportunity to dip both of my feet in the cold waters of Sto. Niño Cold Springs. The dip itself gave me chills, as the water was really at a low temperature. I really couldn’t take myself to plunge into this chilly abyss, so I just walked around the area to take photos, and went people watching for a short while. There was even a coconut seller who submerged all of his coconuts into the springs. And when people ordered drinks from him, he would just pick the coconuts from the water and serve these cold. It was definitely an energy-saving technique. 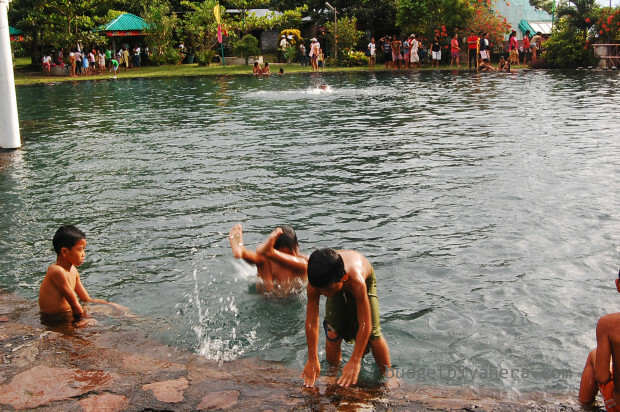 When I first heard about Camiguin’s soda water swimming pool, my imagination went haywire. I relished the thought of swimming in a pool that was filled with sparkling soda water (a girl can dream!). But much to my dismay, the pool didn’t contain any kind of beverage. I was later on informed that the famous Bura Natural Soda Water Swimming Pool was named as such due to its “fizz”. Fizzing can be seen from underneath the water. But in my whole time there, I never saw a single bubble form. Nonetheless, it was still a place worth seeing and experiencing. I would say that Ardent Hot Spring kept true to its name. It’s the best hot spring resort that I’ve been to yet. The waters that coursed through Ardent’s several pools definitely streamed warm to to super hot water! 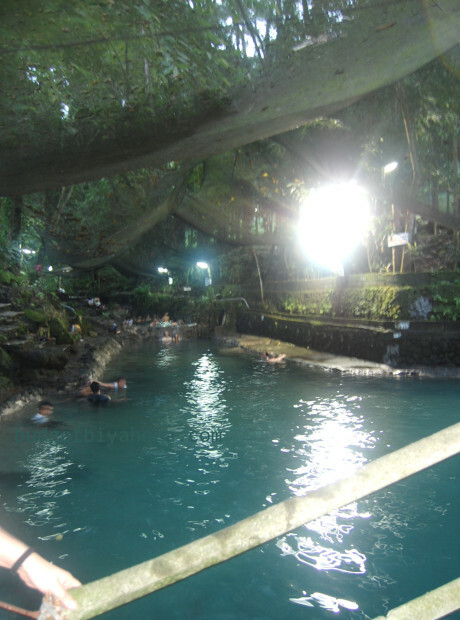 Plus, the heat that enveloped my body while being submerged felt truly relaxing. 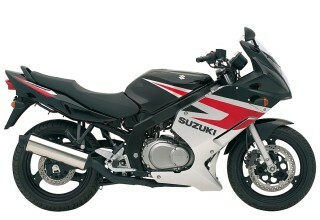 It helped ease up every aching muscle in my body, considering a whole day worth of going around the province. The pools were a bit small in size (in my opinion). It was actually a challenge to pick a spot where my group and I could settle in since the place was a bit crowded during the afternoon. 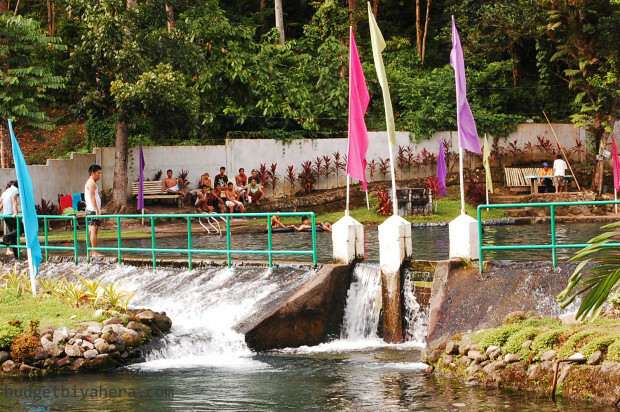 But if you are to pick a place, stay by the cascading pools where warm and super hot waters can be experienced. White Island is 1 of 2 small corals islets in Camiguin (the other one is Mantigue Island), which is just 2 KM off the shores of Agoho, Mambajao. It’s a deserted, white sandbar that has no presence of shelter or foliage. The reason to this is that the island sinks in the later parts of the afternoon (due to the changing ocean tides). It’s advisable to bring an umbrella or even a big blanket as a form of protection — add some sunblock too! The extreme heat from the sun can already be felt even before 12 NN sets in. Nonetheless, White Island is also best experienced for snorkeling, swimming and sunbathing.